When Law & Order films their inevitable “Ripped From The Headlines” version of the story of Gilberto Valle, a.k.a. “The Cannibal Cop,” they’re going to have to invent some sort of twist that throws his guilt into doubt. The real life version wraps up everything far more neatly: Valle was recently indicted for charges of kidnapping conspiracy and illegally accessing a law-enforcement database. 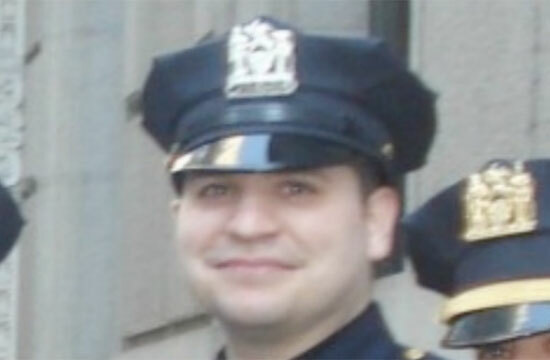 The New York Post reports that Valle, a 28-year-old former NYPD officer from Queens, was repeatedly denied bail after his arrest. To recap (and we’ve finally been able to do this without feeling nauseous): Valle plotted to kidnap and eat over 100 women, and was dangerously close to turning his online fantasies into reality: law enforcement officials revealed that he’d hacked into police databases to find the addresses of his would-be victims, and stalked at least one of them in person. His wife discovered his hidden life, and reported him to his non-cannibal coworkers, as well as the FBI. Valle will be arraigned today, with a court date to be set in the near future. If found guilty, Valle faces life in prison.